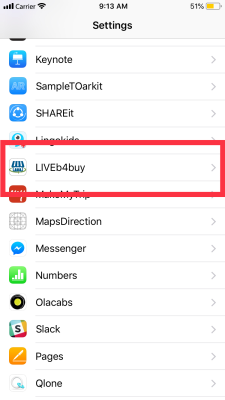 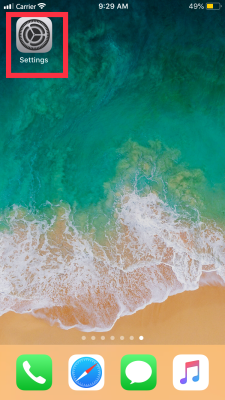 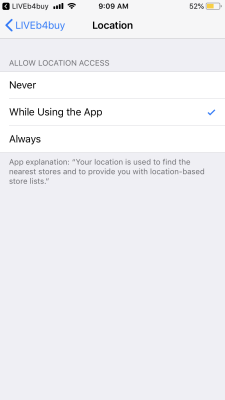 In this blog you will find the possible ways to enable iOS Mobile App premissions, which are considered mandatory for the best user experience and uniterrupted App functioning. 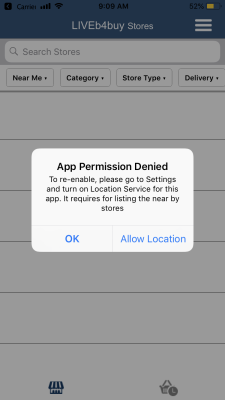 In the settings page you can choose to enable Location permission. 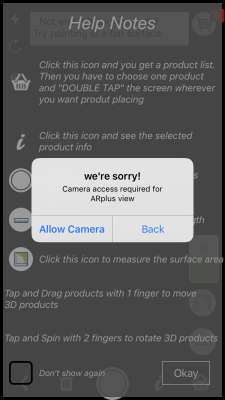 If you select “Don’t Allow” first time you will not be able to view products in ARplus next time. 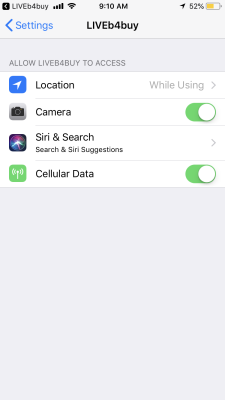 In the settings page you can choose to enable Camera permission. 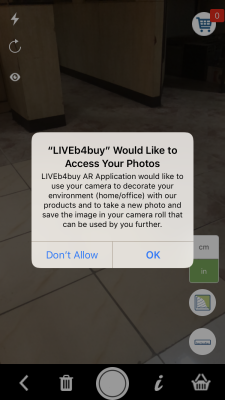 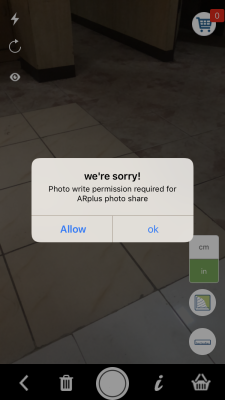 While using Camera in the App if you want to take pictures and store them to your device you will be asked to enable permission for “Photos”. 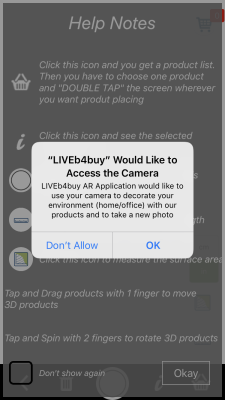 If you select “Don’t Allow” first time you will not be able to take pictures and save them to you device next time. 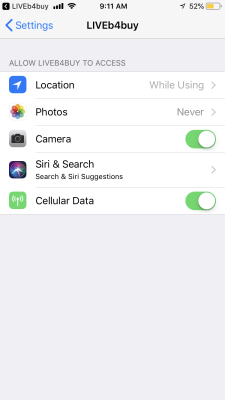 In the Settings page you can choose to enable permission for Photos. 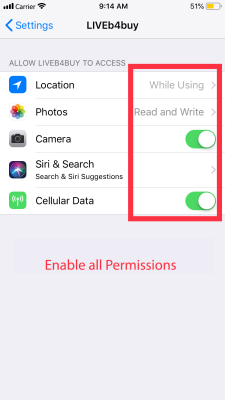 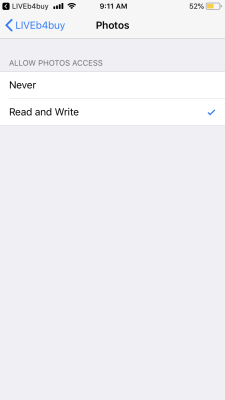 Choose “Read and Write” option to enable permission to take pictures and store them to your device. 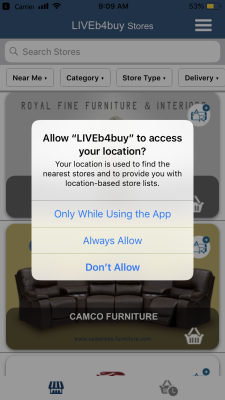 Here enable all in-app mandatory permissions quickly withour having to open the App.